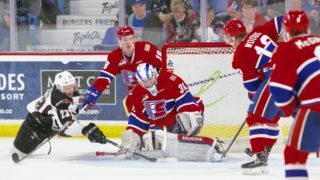 KENT, Wash. – The Seattle Thunderbirds scored on all three of their power play opportunities, two of their goals from Alexander True, as they held off the Spokane Chiefs, 6-4 Sunday night in Kent, Wash. 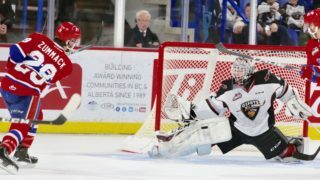 The loss left the Chiefs with a 3-4 record against Seattle this season and dropped them seven points back of the Thunderbirds for third place in the U.S. Division. 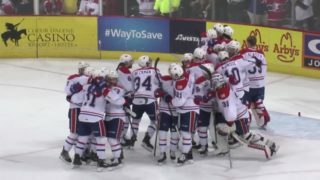 Spokane still remains two points behind Portland for the eighth and final playoff berth in the Western Conference. Seattle jumped out to a 2-0 lead after the first period as goals from Austin Strand on the power play at 6:10 and Jarett Tyszka at 9:31 gave the Thunderbirds the early advantage. The T-Birds would expand the lead to 3-0 on a Sami Moilanen goal at 4:59 off the rush. 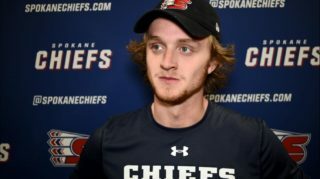 Just as it looked like Spokane was out of it, the Chiefs rallied as Hayden Ostir scored his fourth of the season at 10:22 to bring Sp0kane within 3-1. Kailer Yamamoto’s power play tally at 13:13 would pull the Chiefs within one at 3-2, but a Seattle power play goal from True at 16:14 of the second gave the Thunderbirds another two-goal cushion after two. The Thunderbirds popped in two goals early in the third, including True’s second power play goal of the night at 12:39 to give Seattle a commanding 6-2 lead. The Chiefs’ Ondrej Najman scored his third goal of the season at 14:32 to cut the lead to 6-3 before Yamamoto scored his second of the night, and team leading 28th of the season, at 19:08 to cap the scoring. Spokane outshot Seattle 12-6 in the third and outchanced the T-Birds 33-30 overall. Special teams were the difference as Spokane went 1-4 on the power play while Seattle was a perfect 3-3 with the man advantage. 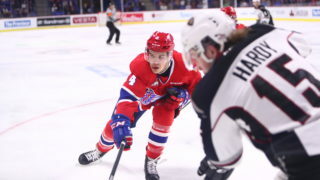 These two teams now head to Spokane to play the second half of the home-and-home series as the Chiefs host the Thunderbirds Wednesday at 7:05 p.m. Mike Boyle will have the call on 1510 KGA NW Sports Talk starting with the pre-game show at 6:30 p.m.
Wednesday night will be the sixth of nine TicketsWest Player Magnet Giveaway Nights and pre-game happy hour at the Arena. Saturday will be General Store Buck Night & Jersey Rally Towel Giveaway as the Chiefs will wear special military-themed jerseys to be auctioned off at the main entrance. Hot dogs and Coca-Cola products will be $1 all game long. 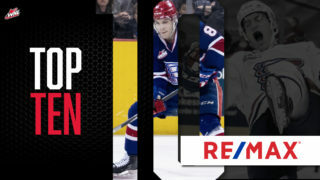 Tickets for both games this week and all Chiefs home games are available in-person at the Chiefs’ Ticket Office, over the phone at 509-535-PUCK and online at ticketswest.com or spokanechiefs.com.